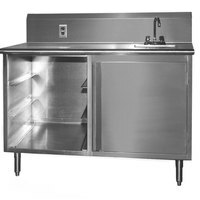 By setting up beverage tables in your restaurant or cafeteria, you can serve your customers refreshing drinks even faster. 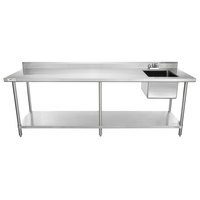 Beverage tables are ideal for server stations so your wait staff can quickly refill glasses or for back-of-house use in the kitchen. 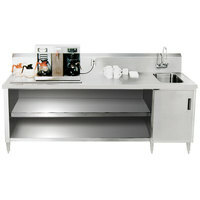 Each of these tables features plenty of space to store all your cups, lids, straws, and other supplies. 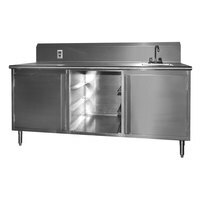 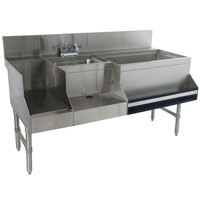 They also have a durable stainless steel construction so you can be sure your purchase will stand up to your busy restaurant environment. 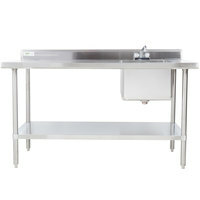 These beverage tables are available in a variety of configurations to best suit your restaurant’s needs. 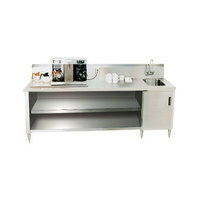 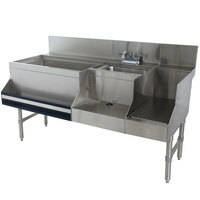 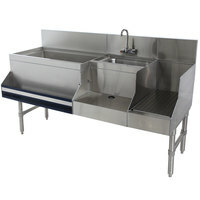 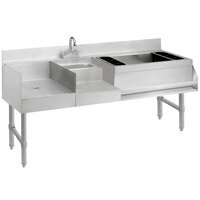 Many come with a built-in sink, so you can drain and rinse cups and mugs without having to transport them very far. Some also have shelving units to store extra supplies, as well as ice bins so you can fill your customers drink orders in one place. 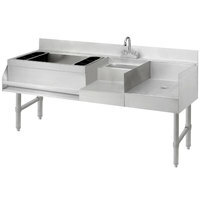 Since these beverage tables come in such a wide selection of sizes, you’re sure to find one to fit in your kitchen or dining room.